Claiming that Modi was the most popular among the democratically-elected prime ministers of the world, the BJP leader said, "Sixty-nine per cent of the people are happy with Prime Minister. 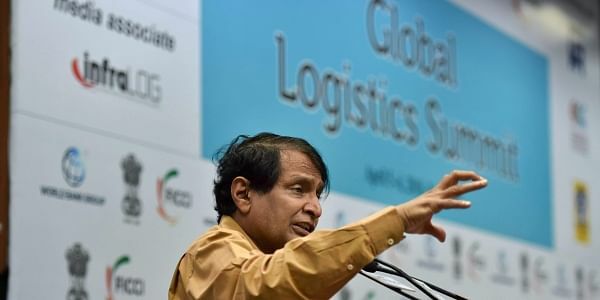 KOLKATA: Farmer deaths were an old problem and the Narendra Modi government had taken many steps to alleviate the difficulties of the cultivators, Union minister Suresh Prabhu said today. He added that crop failures due to drought or floods had led to incidents of farmer suicide in certain parts of the country when the monsoon failed or there was a deluge. Claiming that Modi was the most popular among the democratically-elected prime ministers of the world, the BJP leader said, "Sixty-nine per cent of the people are happy with Prime Minister Narendra Modi. You will not be able to find another democratically-elected head of a country as popular in the fifth year of his tenure.
" He also claimed that there was no one in the country to challenge the popularity of Modi.